As someone who owns a big set of cumbersome Klipsch bookshelf speakers, I can understand the pain having a not-smart audio setup can cause. My speakers are tethered to my amplifier, which is tethered to my DAC, which is tethered to my PC. Sure, I have a Moto Stream and I like it, but I have to switch audio inputs to use it and I don't exactly need wireless audio at my desk, given that I have said setup. But what about in the kitchen? The bedroom? The living room? The... bathroom (???)? Well, you'd probably think of Sonos at that point, but they don't do Bluetooth (or AirPlay without an AirPort Express). For reasons. This is actually pretty common in high-end stationary connected speakers, largely because of snobbery around lossless audio and, in Sonos' case, attempting to lock in consumers to a single brand of speaker. 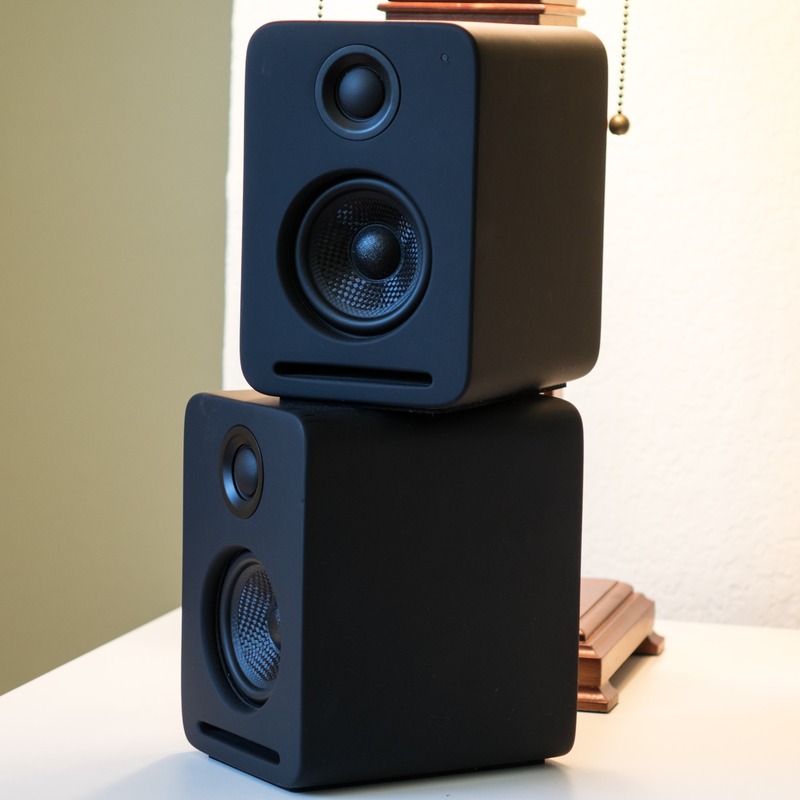 So, why not build a speaker that just sort of does everything? The Nocs NS2 Air Monitors (version two) cross the bridge few products dare these days, offering support for Apple's AirPlay, Bluetooth 3.0 (class 2, with aptX support), and even Spotify Connect. So it doesn't matter if you have an iPad, a Galaxy S5, a Chromebook, a Macbook, or a Windows PC. 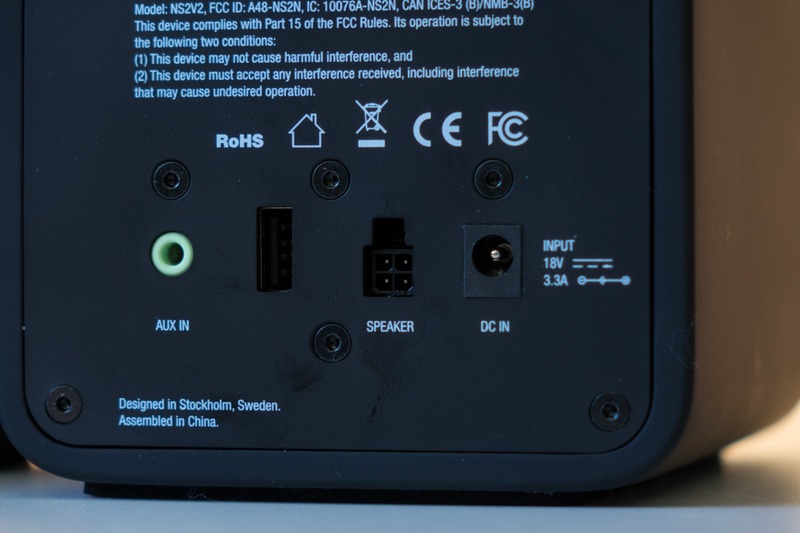 Even if you have to resort to wires, there's a 3.5mm-in jack. The NS2s come packaged as a pair of speakers with a peak output of 80W - quite a bit considering each satellite stands just 6" tall. They're rated for a response of 60Hz-22KHz at +/- 3dB, and when in digital mode have an SNR of 90dB. The tweeters are 3/4" and the woofers 3" Kevlar units, with passive front-facing bass ports on the bottom of each speaker. As you can see, the NS2s are also quite compact - I wasn't lying when I said 6" tall. So, how much will all this smart, compact performance set you back? $400. 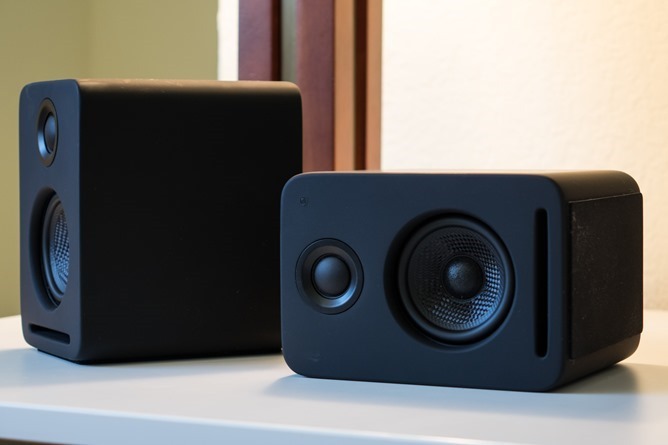 That's not a typo - the NS2 Air Monitors are not an entry-level wireless speaker, and Nocs aim to be taken seriously in the wireless home audio market with this product. In their previous incarnation, the NS2s only supported AirPlay, but this new version adds Bluetooth and Spotify Connect functionality to greatly increase their versatility. In the process, they also became $50 cheaper, and the actual speaker part of the equation doesn't appear to have changed. Is there $400 of speaker here, though? Frankly, no. While the NS2 Airs are an extremely good little pair of speakers, the market is full of competitors in the $200-400 price range that offer hugely more low-end power and, to be honest, reputation. Of course, the Nocs are about more than just the sound - you're clearly paying for connectivity here, too. Bluetooth, AirPlay, and Spotify Connect is a combination you'll find in few if any other speakers, let alone ones that sound as good as the NS2s do. They have brilliant soundstage, providing ample separation even in close quarters, and remain surprisingly low on distortion even when they're cranked up. 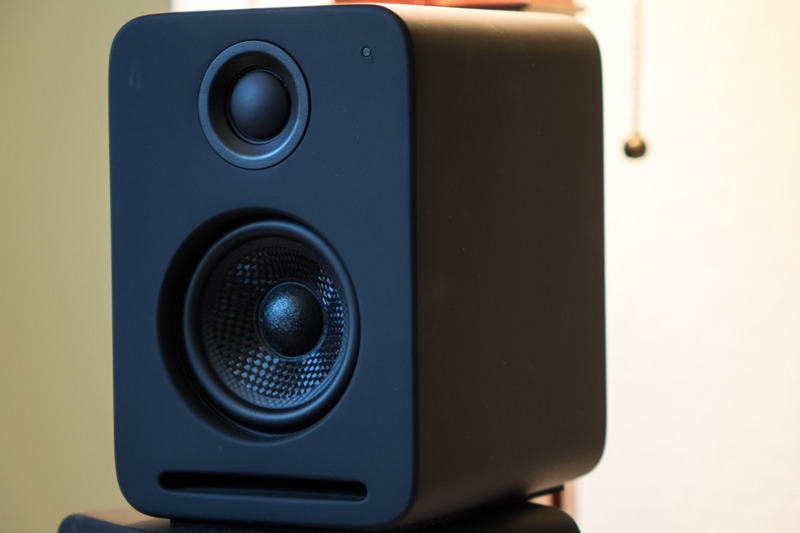 The highs and mids are just brilliant - these speakers sound divine at a reasonable volume, providing the comfortable, non-fatiguing ambient background noise that can fill a decently sized space. They're also exceptionally accurate - I found them to produce exceedingly good detail and with very flat response. Testing all three wireless modes, they all functioned as expected. Admittedly, getting the NS2s on my Wi-Fi network took two or three tries (configuration is done via an Android or iOS app), and after that I attempted a minor firmware update which is apparently impossible over the mobile app presently, even though it's an option. I eventually managed to update the firmware over the NS2s' web interface, though you can also do it via USB. For $400, I would personally make some extra feature requests. Optical / SPDIF and / or USB audio-in would be a real benefit, since these speakers already have a very solid digital-to-analog converter and amplifier, especially for something claiming to be a monitor - 3.5mm in from your laptop isn't going to cut it. With that extra input, you could hook up a TV, PC, or media center and make the NS2s significantly more versatile, a real audio "home base" for your bedroom or even living room. An included IR remote might make sense, too, since the NS2s have no volume controls of their own. NFC pairing is always a nice touch, and one we're finding on more and more personal audio products of late, so I'd love to see that lumped in. As smart as the NS2s are, I think their price seriously shoots them in the foot for most consumers. At $400, they're getting into Sonos S5 and Bose SoundTouch territory, and in that market you're really just starting to compete against names more than you are features or performance. In that range for powered monitors bought by enthusiasts and musicians, buyers are looking at studio gear from M Audio, Resolv, Yamaha, and a host of other brands that specifically cater to their sonic needs. On the casual end, Sonos, Bose, and even B&W's line of AirPlay products are duking it out. 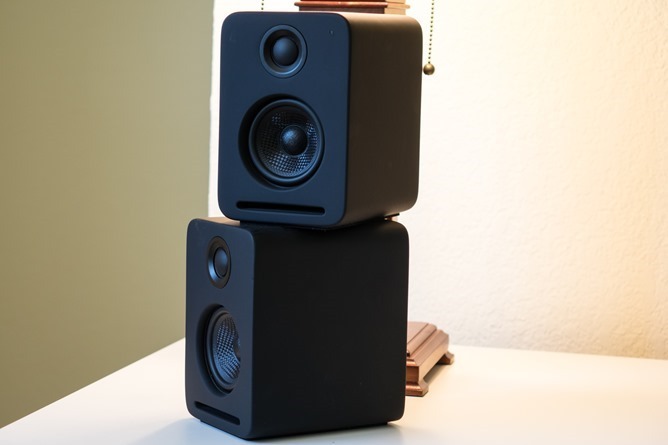 On sound, the Nocs do lean more strongly toward the enthusiast market for monitors with true, flat reproduction. The problem is that because of their high price, the connectivity features will likely be overlooked in the name of value and trusted names already in the market. 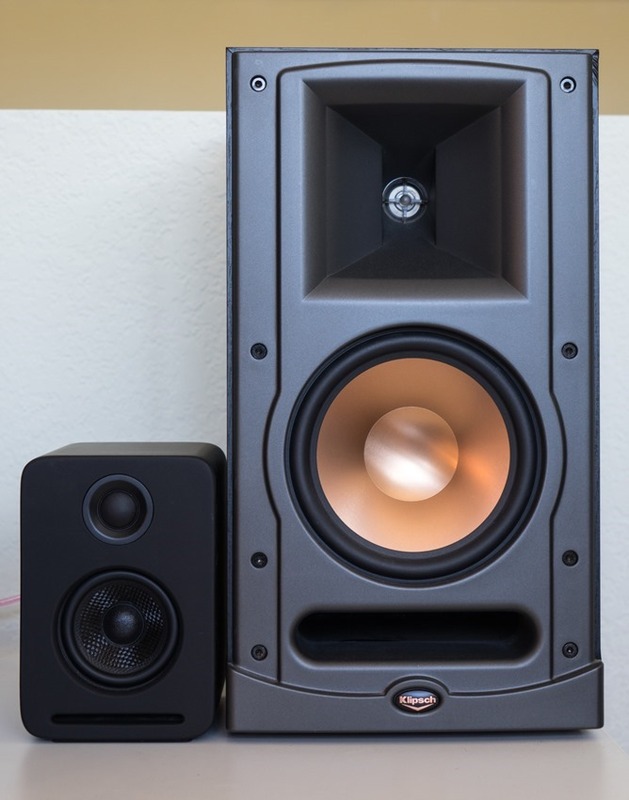 While I do really like the NS2s - they are sonically brilliant and packed with modern features - I can't help but feel they'd be a lot better off at $300 - more than that just seems like too much.